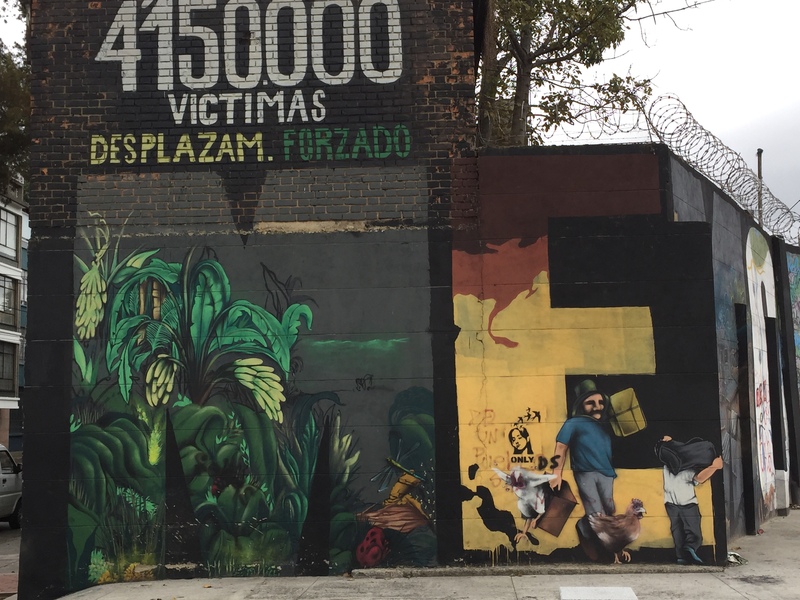 A mural of honoring the 415,000 victims of political violence in Colombia. There was much violence in the hills surrounding Bogotá. This is across the street from the Memorial to Victims of Violence.